Lauren Hayden has been thrust into fame she didn't want, cornered by danger and constantly challenged by the love of the man she's always wanted. Now she faces her biggest challenge: her mistakes from the past. 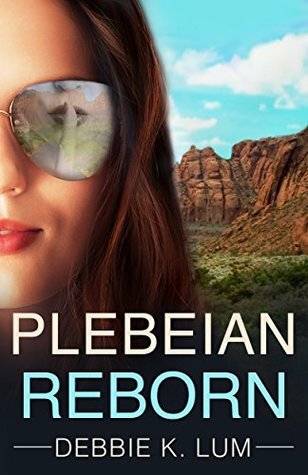 Plebeian Reborn is the third book in my Plebeian series and I'm running a Goodreads giveaway for a very limited time! You don't have to have read the first two books to know what's happening in the rock-and-roll world of the band Plebeian. Enter today! Deadline is Sept. 3. Giveaway ends September 03, 2018. "More twists and turns than a Coney Island roller coaster..."
A simply riveting read with more twists and turns than a Coney Island rollercoaster, "I Can Handle Him" is especially and unreservedly recommended for community library Romance & Mystery collections. "I unexpectedly kind of loved this book. It's a fast read that you should check out if you like contemporary romance!" ​Read her full review of I Can Handle Him on the Stranded In Chaos blog. "The investigation to clear Nick's name and the romantic elements of the novel dovetail nicely, and we're left with a satisfying ending for the main characters. This is an engaging read that really sucked me in and had me rooting for them the entire way." Read more of this review of I Can Handle Him from Girl Who Reads. We're wrapping up a GREAT blog tour for I Can Handle Him and I'm revisiting some of my favorite reviews. I'm so appreciative of the bloggers who took the time to read and review my book, and for those who posted Q&A's and excerpts. "I Can Handle Him is my first read by this author and I think I about dropped my coffee with a few twists in this book." Read the entire Smashly review here.